JOUCHAKU! 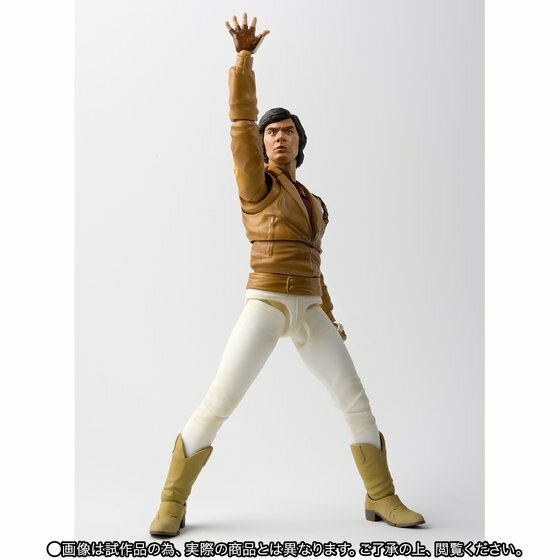 In case you missed it, Bandai announced the release of S.H.Figuarts Retsu Ichijoji, the human identity of Space Sheriff Gavan. P-Bandai’s launched the pre order page and we now have official stock photography of the photo in addition to price, and release date! S.H.Figuarts Retsu Ichijoji includes an array of swappable hands, and a particle effect piece representing the transformation into Gavan. Retails for 6264 yen before middleman fees and overseas shipping, S.H.Figuarts Retsu Ichijoji will see release sometime in November 2017.